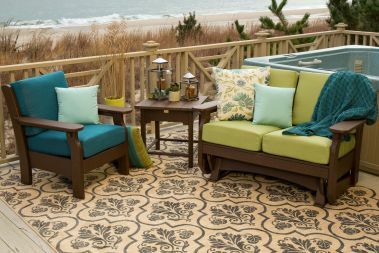 Customize Amish outdoor furniture including patio dining furniture, conversation sets, and lounge seating, all available in a variety of poly colors and Sunbrella® fabric selections. 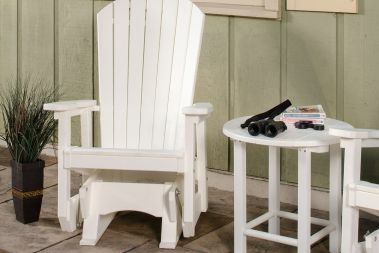 Browse our Amish made, outdoor furniture sets and collections to create the perfect patio entertainment space. 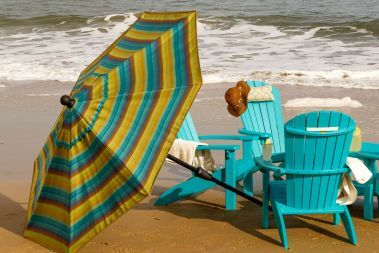 View our outdoor seating selection of adirondack chairs, porch swings, benches and more. 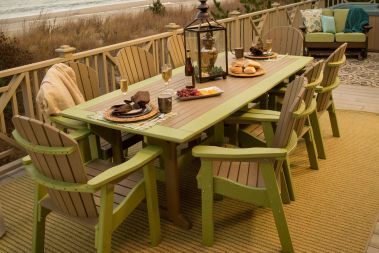 Create a custom poly lumber outdoor dining table or pub table that can accommodate your guests with ease and comfort. Pair your seating arrangement with our eco-friendly selection of outdoor accent tables. 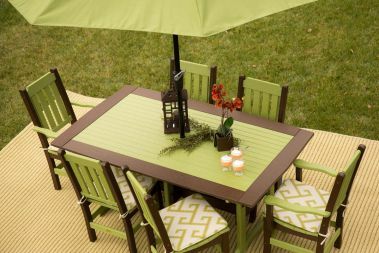 Host family gatherings with a poly lumber, Amish handmade picnic table in the size and color combination you choose. 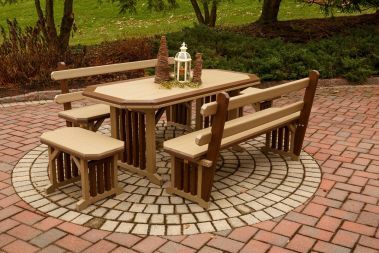 Add the finishing touches to your patio entertaining area with our Amish made poly outdoor furniture accessories.